Cattle have replaced the native Bison, but the ecology still demands traditional herbivore behavior. We move the animals in tight groups daily, to create a herd effect on the land, stimulating soil biology and thus grass growth. With minimal inputs--other than fresh grass daily, or even hourly-- our cattle maintain vitality even in the harshest of environments. Our cattle are apart of the ecosystem. In nature, there are no de-wormers, because with multiple species on the landscape, a symbiotic relationship is created. The worms that make the cattle sick, die in the gut of the sheep, and vice versa. Nature has given us the patterns to raise pure, healthy food on regenerative healthy landscapes. All we must do is stop, listen, and watch the cow. 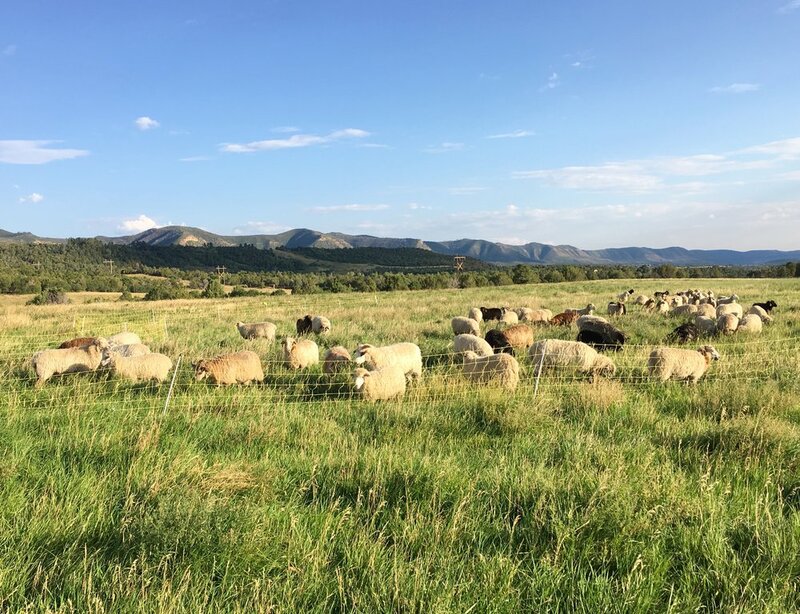 All of our breeding stock comes from Heritage breeds known to perform on pasture, including: Hereford, Mangalitsa, Kune Kune, Duroc, Red Wattle, Berkshire. Their knack for making the most out of the forage grown here, primarily alfalfa, allows us to raise hogs outdoors, on pasture where they can truly express their pigness. 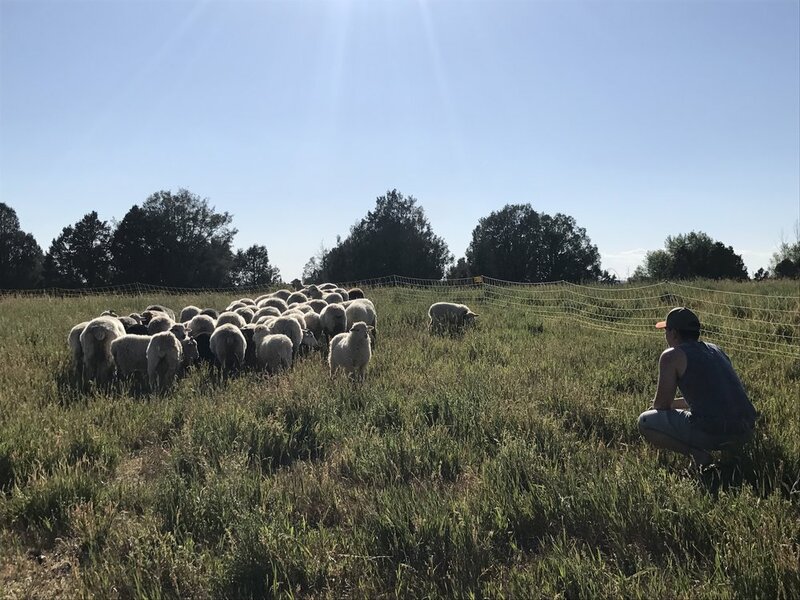 Often grazing alfalfa clear over their heads, our pigs lounge in the shade with full bellies of some of the highest quality forage around, along with a non-GMO corn from the Ute Mountain Ute Tribe. During the winter and when being trained to electric fence, our animals do spend time in open air barns and permanent pens. Once they are ready, we move them out to pasture where they spend the majority of their happy hog lives. You will never see an animal more content than hogs on pasture, napping in the shade! 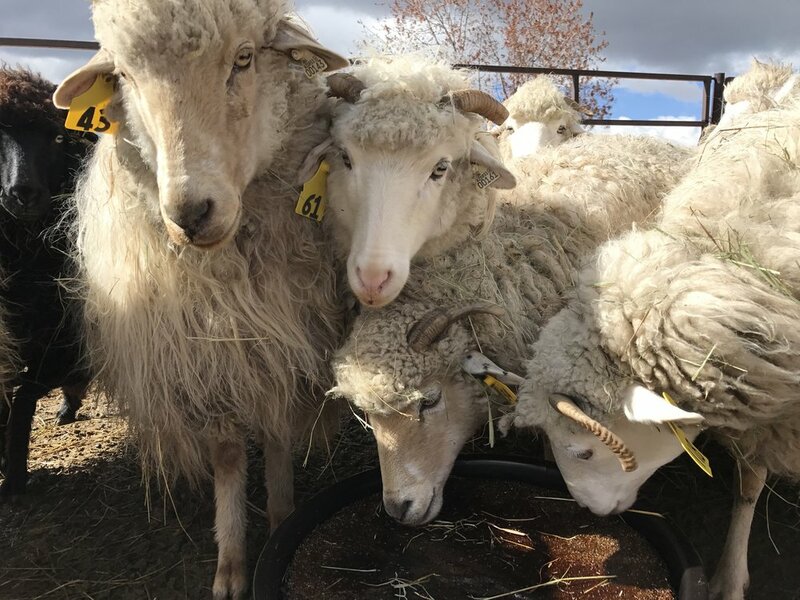 We feel so lucky and grateful to have the opportunity to raise this heritage breed of sheep. Navajo Churro have been grazing our native 4 Corners landscape since the 16th Century. They are an incredibly rugged breed, requiring little to no input or intervention to thrive. 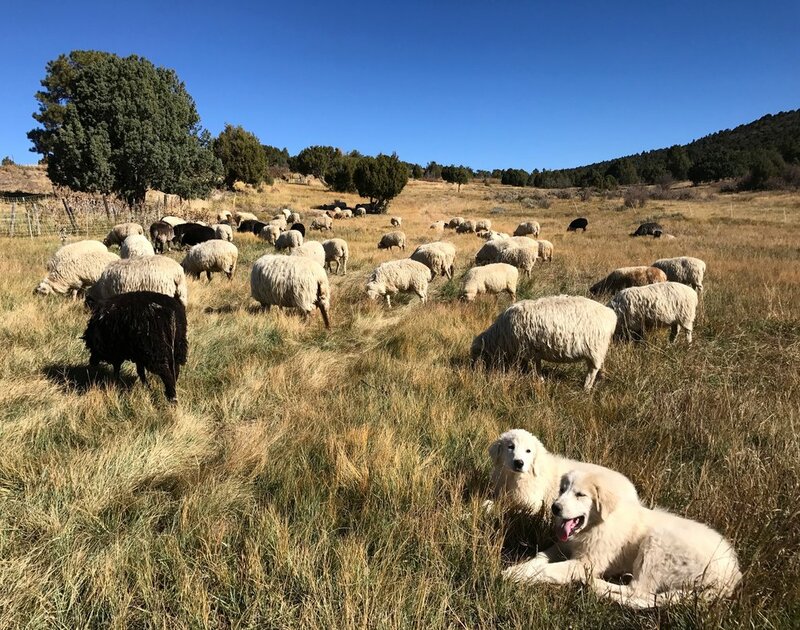 Churro have a very thick top coat and soft inner layer of wool that make them resilient to extreme temperatures, and lovely for spinning and weaving the beautiful and durable well-known Navajo rugs. 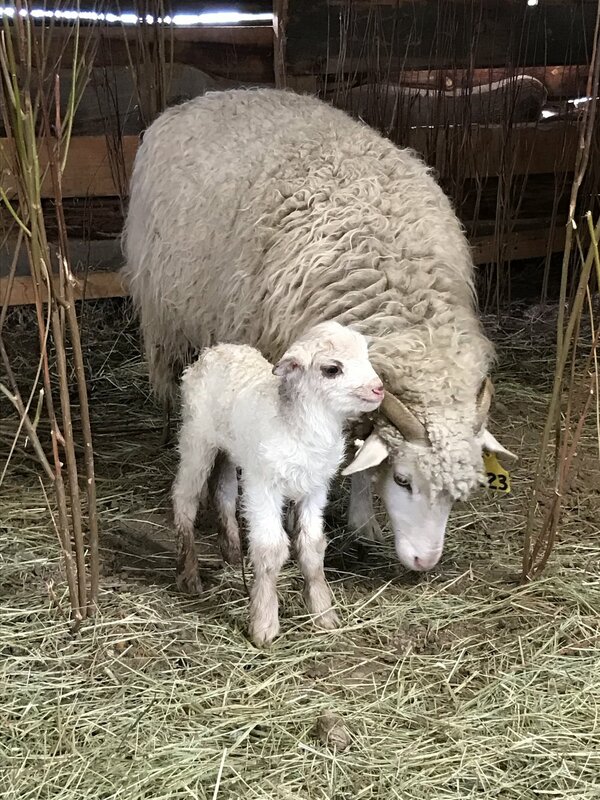 The ewes are excellent mothers who lamb easily and fiercely protect their little ones. Both their milk and their meat are prized for their light, sweet flavor. Churro are known to store their fat in their bellies, making their meat leaner than most other breeds. Historically, the Navajo-Churro, or Taa´ Dibei´ provided the Navajo people with their own self-sufficiency. For hundreds of years they lived closely to the Churro with a deep respect for their animal friends that provided them with sustenance, textiles, and healthy land management. 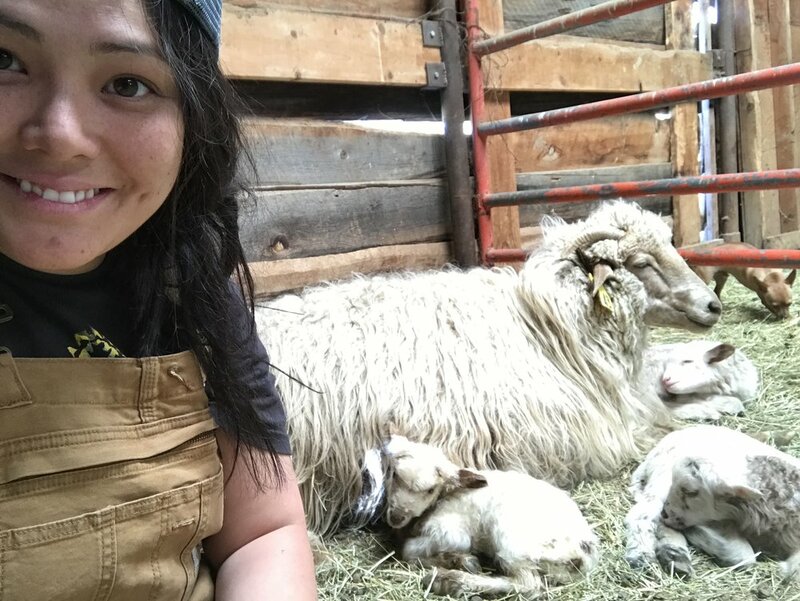 "Extended families cooperated in caring for animals and raising crops. Diné philosophy, spirituality, and sheep are intertwined like wool in the strongest weaving. Sheep symbolize the Good Life, living in harmony and balance on the land." 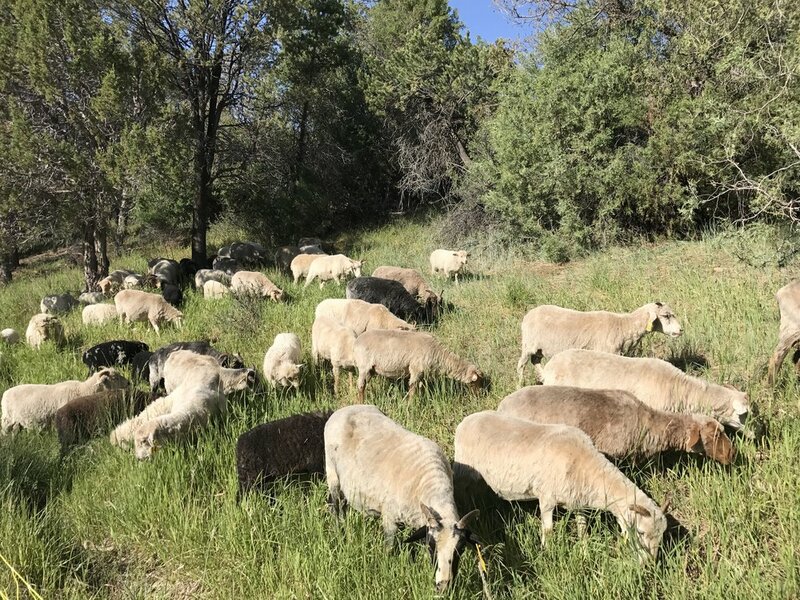 Our sheep play an integral role in managing our diverse landscape.They eat weeds and brush, prune bushes and trees and evenly fertilize all areas of our farm, making them the single most important biological tool we have.